From choir concerts to track meets, chaperoning and school projects, a shoulder to cry on, nurse, chef, CEO of the family and still makes time for yoga! Mom. She does so much for so many and now it’s time to celebrate her special day. What do you get for the woman who has it all? Yoga Digest has found some unique gifts for the conscious mom who knows best. These products will tickle every yoga mom’s fancy with novelty and purpose! Take a look! 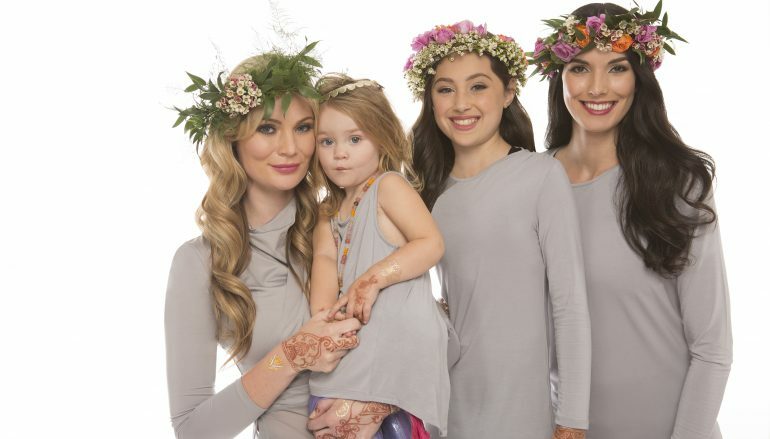 Mira Rae blends ancient beauty with modern function for today’s women and girls who juggle so much in their lives. We use high end fabrics for the best quality of athletic and athleisure clothes. This enables us to achieve the drape and feel of a designer garment in an activewear piece and still make the pieces functional and beautiful. A stand-out metallic hoodie, the Lola is perfect for every day style and comfort. Foiled metallic on the outside and soft inside. Thumb holes keep the breeze out to help your girls stay cozy. For the mothers and women in your life that love to love and love hard. This flowy racerback tank by Zen Fuego keeps you comfortable so you can love as much as you like. 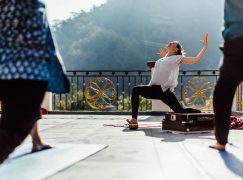 Zen Fuego was born from a love of yoga, the love to sweat and the love to laugh – they bring this energy and inspiration to their design studio where they infuse whimsy, joy and flow into their yoga towels and apparel for women & men. Good vibes for all. 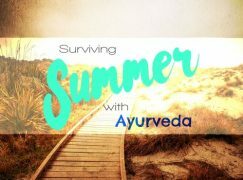 Zen Fuego is offering an exclusive discount for Yoga Digest readers – use promo code YOGADIGEST on www.bezenfuego.com for 25% off now through May 31, 2017. 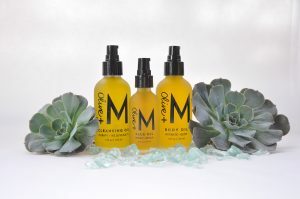 Olive + M’s line of conscientious skin care is so natural, you can actually eat it! But, you won’t want to do that once you see what it can do for your face, skin, and even your hair. It’s the perfect self-care gift for the moms who always give too much to others and not enough to themselves. Use the code YOGADIGEST to get 20% off your first purchase through Sunday, May 14th. 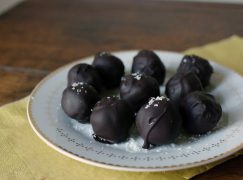 We’d highly recommend getting a sample for yourself too. These are not normal sunglasses. 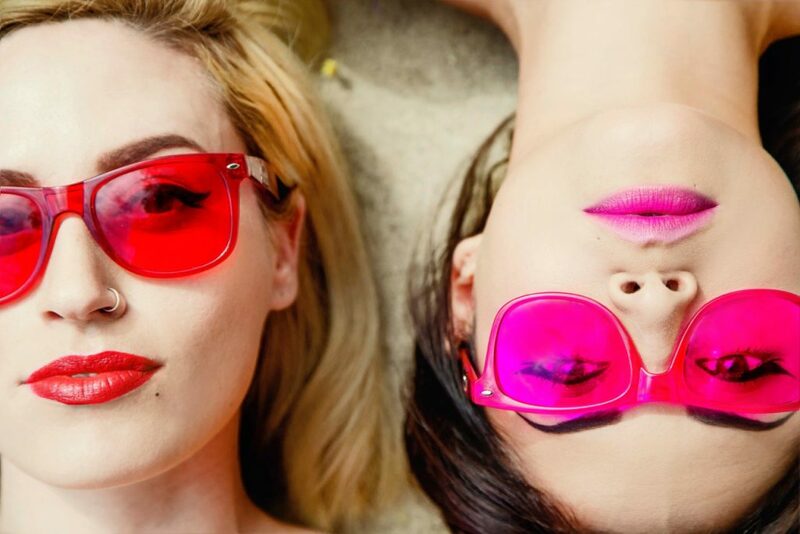 RainbowOPTX are mood boosting sunglasses that come in 10 different colors to make the world beautiful, instead of black lenses that make everything dark. Each color has a mood: “cool” colors are relaxing and “warm” colors are energizing. Each color is paired with a positive affirmation. All our lenses offer full UV400 protection. Say I love you Mom with every sip of water she takes 365 days a year. This uniquely designed glass bottle makes drinking water fee, look and taste better. 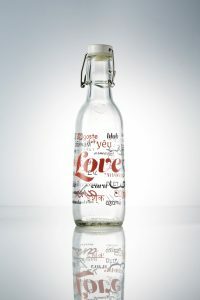 Love Bottle, made from recycled glass, is designed to make drinking water greener for the environment and healthier for you. 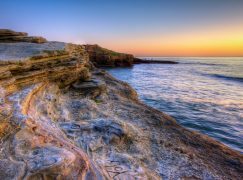 As an alternative to plastic and reusable again and again, it helps to minimize the amount of plastic filling our landfills and polluting our oceans. 100% Made in the USA, super cute hand-made flip top lids and a UR loved message etched on the bottom of every bottle. With over 22 unique designs and the of spreading love with each bottle, there’s something for every mom out there. “Slip on your mat much? OMie Yogas got the fix. 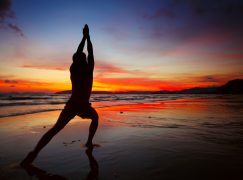 Your yoga practice puts you in the perfect state of mind. 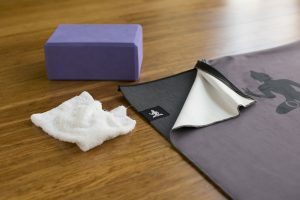 We want your OMie Mat & Towel to help keep you there. So how does the OMie tech work? Simply, of course. Our durable and lightweight mat is made from natural rubber, so it’s eco-friendly and nontoxic. Its nonslip design provides excellent traction through every Sun Salutation. The soft, absorbent microfiber towel gives you perfect grip, even when wet. Durable zippers quickly and easily secure it to the mat on both sides, so you can keep your focus on your practice. No bunching. No slipping. No distractions. Just peace of mind. Welcome to OMie Yoga. Welcome OM.